Tubes just aren’t as reliable as they used to be. Was recently listening to a conversation with Friedman and a couple other reputable amp builders saying he’s having a really hard time finding good tubes anymore for his amps. He throws a bunch out from a batch before finding one that doesn’t make extra noise or flat out doesn’t work in his amps, and even then when he ships the amp it often doesn’t work when it gets to where it’s going. He said he’s been having the most problems with JJ lately which used to be good. So what is your advice about the effects loop tube? JJ's have worked well in that position for years in my amps. Use what works. Some sellers of tubes test them before passing on to the consumer so that does solve some issues. I think he was talking in terms of buying a bulk batch from the tube manufacturer. I agree, they must be tested. Yeap, just use whatever works. Any brand, if it works and sounds good, you're fine. Testing only goes so far, and sometimes you have to take a punt. Valve testers usually test for shorts and transconductance (A big word - did I get it right? ). Most will not pick up microphony, and a new valve testing strong can still die early...... all the testing does, really, is weeding out the really bad ones. And it is helpful. I've had fantastic luck (?? Or was it luck) with eBay seller using test equipment not designed to pick up microphony and testing valves at voltage way below what a guitar amp sees. In the end, I've ended up with lots a fantastic sounding ECC83 from the 50s/70s at very reasonable prices ($20/valve max, some cheaper), significsntly outperforming modern ECC83. I guess lots of people avoided them as not "properly" tested + eBay seller from foreign country, but taking a chance can pay back big time (keeping in mind it could be a loss too). I get this. However, the same statement, "use what works", can and should be made to Orange. I'm disappointed, and now I will always have to bring a backup. It might be time to just go digital for live, and use amps in the studio. The thing is, it did work when it left the factory. That's why valves usually only carry a 3 months warranty, just like light bulbs, they can die anytime. There's no way to screen a valve for early death sadly. Weak valves can be weeded out, but that's all testing valves can achieve. As you are finding out, that's why gigging musicians often recommend to have a spare set of valves..... and a spare amp at every gig.... and a spare set of strings, and a spare guitar...... the list goes on. It's not always practical, but since valves can die anytime, having a back up solution is good. I've talked to many people about this now, but its sad really about the number of complaints about such a critical component. Too bad the amp manufacturers can't put some real pressure on tube manufacturers, or maybe they are. I certainly would pay more for quality tubes. I'll add the tubes to my repair kit, and try to find an acceptable digital modeler as a backup. 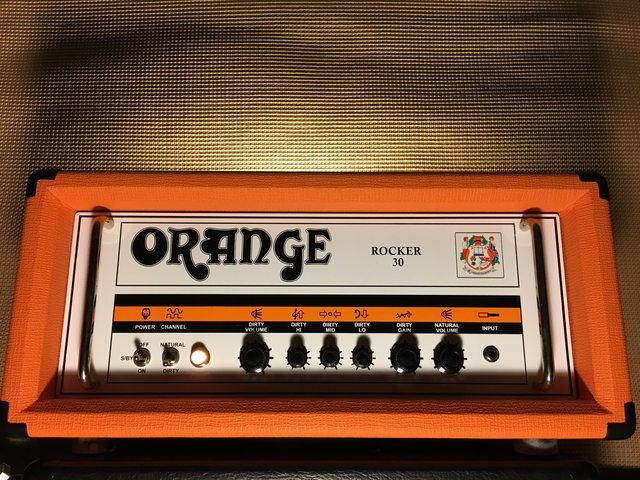 When my Orange died, I grabbed the Marshall and brought along a Carr Rambler, just in case - so I'm lucky I brought $8k worth of amps to get my split of under $50 for the gig. Lol - life of a musician. I think I provably hit the nail on the head there. The global valve production/consumption is a pretty small market these days, and the competition isn t great. There are no demands from the military for super rugged valves, and I think the innovation to reach to that military level of quality filtered down to regular production back then. Still, I would note that you were really unlucky- valves rarely die suddenly, they usually go microphonic or their performance drops enough that you replace them before failure. Your analogy re: $8000 of gear to take home $50..... made me laugh so hard..... good thing we enjoy making music and don't depend on it for a living!!!! !